Did you know that your success in relationships greatly depends on whether you can successfully overcome the touch barrier? It’s crucial to be able to feel the moment when your partner is ready to reduce the distance between you and allow you to hug and kiss them. But there’s one small problem: when it comes to romantic relationships, your desire to reach the next level can backfire in a bad way. If your companion isn’t ready for physical contact, you can come across some resistance, and your relationship will be spoiled even before you achieve affinity. Of course, no one will tell you that they expect hugs and passionate kisses from you, although, carefully watching your partner’s behavior, you can easily feel when it's time to act. 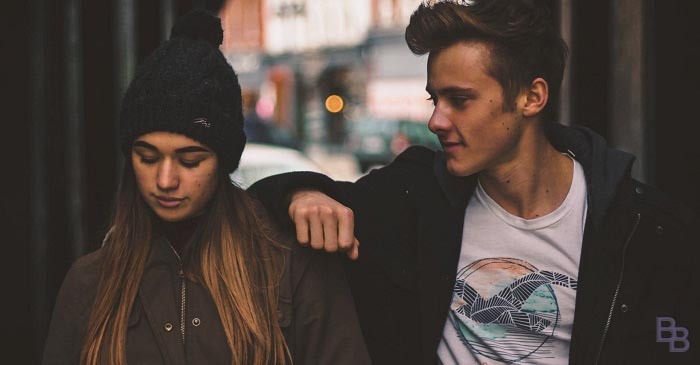 So, if your romantic relationship is at its first stage, and you have a problem with how to break the touch barrier, we have a couple of handy tips for you. What is the touch barrier? Touches are more than important – they play a tremendous role in communication between people. Friendly pats on the shoulder, hugs, handshakes, and even casual touches are the means of tactile communication. That’s why it’s not that hard to figure out that any relationship is mostly based on touches. But you can’t just walk around touching people – that’s not how things work in our society. The thing is that the physical contact is one of the biggest signs of trust, and it’s not common to trust strangers. This leads to awkward moments when we’re not sure whether we can hug or kiss a person we know for a few days. It’s almost impossible to tell if this person ready for this step. And this uncertainty is what people call the touch barrier. Until you break this barrier, you won’t be able to build a trusting relationship with a person. Once you do this, you’ll immediately boost the level of intimacy between you and your companion. As we already mentioned, touches are one of the pillars of any relationship, so when the person you’re interested feels the physical connection, it will become a lot easier for you to make new steps. For instance, you’ll have a much bigger chance to get your companion’s number, make them agree to go on a date with you, or even make things between you more intimate. And the last but not least, touching someone, you automatically let them know that they can touch you, as well. You’ll see how fast you can go through the levels of communication after breaking the touch barrier. Sometimes it can be difficult to break the ice and find the courage to get physical with someone. But it’s ten times harder when you’re about to meet with a girl or guy you asked out on a date. If you rush things, this may scare your companion off, and the first impression you’ve been working so hard to make will be spoiled. But still, it’s important to move on from words to touches somewhere in the middle of the date, and there are three reasons for that. Touches give you a sense of fun. It’s easy to establish a stronger connection with a playful touch. The feeling of closeness will speed things up in case you want to get your companion into bed as fast as possible. Touches make your partner comfortable. Why do guys break the touch barrier? This makes girls feel much calmer and comfortable with them. You allow your companion to touch you too. Usually, a touch acts as permission for your date to get a bit closer with you. Hugging them or shaking their hand, you send a message telling that you don’t mind them touching you. They’ll understand that. So, is it really that hard to overcome this barrier? Pretty much! Most people just can’t pick the right time to do this, and it’s even harder to tell when it’s time to slow down. If you met a person you want to get to know better, sooner or later, you’ll have to deal with the touch barrier, and then you need to come up with ideas how to touch this person more often. So, how to establish physical contact and avoid misunderstandings? Well, there are a few subtle ways to break the touch barrier. If you’re confident enough, you can establish physical contact with the girl even at the first stages of a romantic relationship, but all this should look like your touches are accidental. Observing how your companion reacts to them, you can understand how close she is to let you into her personal space. Here’s what you should do. When you and your girlfriend come to or leave a restaurant/bar/whatever, you must help her to take off or put on her jacket/coat/whatever, like a true gentleman. The moment you put a jacket on her or take it off, ‘accidentally’ touch her shoulders or forearms. You can also touch her neck or even carefully fix her hair. Once you do that, pay attention to her reaction. If she doesn’t like what you just did, she’ll move away from you; you’ll be able to see if she’s OK with you touching her face. If she’s into you, she won’t move away, and the expression on her face will look positive. How to touch a girl so that her feelings aren’t hurt? Make her think that your touches have a practical purpose. If you see an eyelash on her cheek, you can carefully remove it, and your touch will look cute as if you care about her. But don’t forget that your companion can have makeup on her face, and she won’t be happy if you mess it up! You can also carefully brush off dust or crumbs from her hair or clothes even if they were never there – she won’t start looking for what you just removed from her shoulder, anyway. If you noticed something new on your girlfriend’s hands, like a new ring or bracelet, take her hand into yours, as if you want to get a better look at this new accessory. Hold her hand in yours for a few seconds. And let your touch be gentle and loving – this way you’ll transmit your romantic feelings through her skin. Girls feel such stuff. Here’s how to break the touch barrier with a girl if you’re walking in a park, and it’s cold outside. If you notice that the girl starts to shiver, and her hands become cold – don’t lose the opportunity to warm her up with your soft, gentle touches. There are three ways to do that. Tip number one: take her freezing hands in yours and warm them with your hot breath. Tip number two: put something warm on your girlfriend’s shoulders and hug her, slightly pressing her body to yours. Tip number three: gently rub the girl’s palms, hands, and shoulders – this will also help her warm up. A dance is a wonderful occasion to start overcoming the touch barrier. During the dance, you can hold your companion by the hand, hug her around the waist, or press her cheek against yours. But you should use this tip only if you’re a skilled dancer. It’s unlikely that the girl will like the guy that steps on her feet all the time. If you want your potential partner to positively react to your touches, make sure that you look neat, clean, and well-dressed no matter how banal it sounds. Even if you’re super handsome, you probably won’t have a chance to break the touch barrier if your body smells sweaty, and your breath is a hundred times stronger than tear gas. Quite a good reason to overcome the touch barrier with a shy chick is to take her out skating or roller skating. Since you can’t allow her to slip and fall, you should hold her by the arm, hug her shoulders, and support her by putting your hands on her waist. Don’t overdo it with touches. Let them look relevant and unobtrusive. Besides, keep in mind that there are ladies, who don’t like being touched too often. Want your new boyfriend to become a bit more active? Then show him that it’s OK to touch you by making this step first. Guys usually don’t care where you touch them, so your advances will be surely welcome. But if you don’t want him to think that you’re ready for much more than just touches (especially if you’re not), you should limit yourself to certain ‘neutral’ spots. These simple tips will tell you how to break the touch barrier with a guy. Don’t worry – this gesture won’t make you look like you’re into the guy. But it’s still a great way to show that you care about him. There’s nothing special about the hug – just put your arms around him but not for too long; otherwise, the guy might just think you have feelings for him. Since you’ve never touched him before, there should be a serious occasion or at least a good reason for that. For instance, if he tells you that he got promoted, you can congratulate him with a hug. This is a softer way to break the touch barrier and show a bit of affection for the guy. Here’ everything depends on the position of your hand: if it lingers, you’ll add a more intimate touch to your, well, touch. But a quick pat won’t make him count on something more. That’s the friendliest gesture ever. We don’t need to explain how to do it – there’s nothing complicated in raising your hand and landing it on your friend’s back. You can use this to say hi without making things too awkward. Now let’s see how to break the touch barrier with your boyfriend. If you want to get a bit flirty (but not too much), you can kiss him on the cheek. A kiss is a nice way to greet or say goodbye. The main thing here is to make sure that both you and your boyfriend are ready for this step. On the second thought, he probably can’t wait until you show him that it’s fine to kiss each other. Want to flirt with your boyfriend? Just mess up his hair with your hands a bit. But try not to do this too often because guys usually don’t like their haircut ruined, even though a head massage is a pretty pleasant thing. But if you see that something’s not right with your boyfriend’s hair, you can try to fix it. In general, breaking the touch barrier with a guy, you’re free to touch him anywhere you want, depending on what your intentions are. If you’re looking for friendly relations, limit yourself to neutral gestures, like pats on the back and hugs. But if you want to get more intimate, try to kiss him or play with his hair. Why do guys break the touch barrier during conversation? They want to get to the next level as fast as possible. Why do girls do that? They’re just sick of guys not making the next step. But despite that their motivations differ, the fact remains – the touch barrier must be broken. Follow our tips and be easy-going – and you’ll succeed.